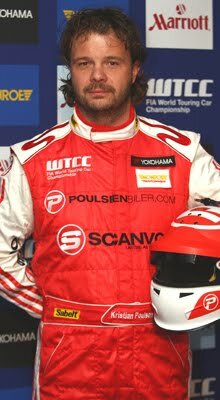 After a very good start where Kristian managed to stay out of trouble - he was P16. Then the safety car was set in - because the medical helicopter had to take off. 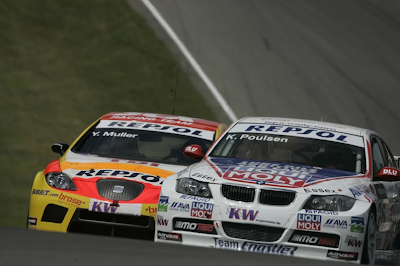 On the first lap after the saftey car was in, Y. Muller overtook Thomson and Poulsen at the same time. Afterwards it was close race between Thomson and Poulsen and Thomson pushed Poulsen off into the sand....and then it was game over for Poulsen.